Today, we have a special guest in our special segment, Mr. Anubhav Shrivastava, let's read more about him through this wonderful interview. 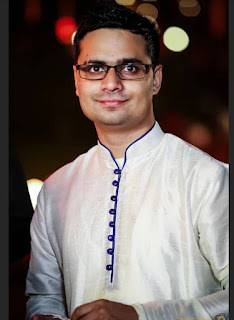 Hi Anubhav, welcome to Writer's Destination! My name is Anubhav and I manage the B2B Business of Buddy4Study – An ed tech startup. 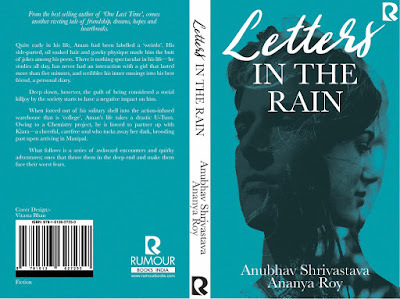 Letters in the Rain is my second novel. My first book called ‘One Last Time’ was released in February this year. It did reasonably well. In fact, it was on the amazon bestseller list for quite a long time. Q2. Is there anything you find particularly challenging in your writing? What was the hardest part of writing this book? Yes, I still struggle a bit with descriptive writing. I think that’s an art which comes more naturally. But eventually, you develop it with practice. I have brought a couple of books on descriptive texts. The hardest part of writing this book was to actually find time to write! Since I work in a startup, I had to really find time blocks consistently to make sure I am able to give the best to the book. Q3. How long have you been writing? How did you begin writing? Did you intend to become an author, or do you have a specific reason or reasons for writing each book? I have been writing for the past six years. I began writing in college first year when a local popular club gave me a platform to hone my skills. The rest, as they say, is history. No, I never intended to be an author. It so happened that I have this innate fear inside me – I feel each one is talented in some creative field or the other. Unfortunately, if we stop practicing, the talent can easily be taken away from us. I always fear that if I don’t write anything for the next one month, then eventually I will wake up one morning and be a big sucker in writing. I feel blessed to have this talent. Writing a book is my way of making the best use of it. Writing a book is a sacred act for me personally. Not more than two months. Q5. What inspired you to write this book? I have always been fascinated by the concept of unrequited love. Is unrequited love always bad? Or can it sometimes bring the best out of you? In a case of a mismatched love affair, what role does friendship play? Does it eventually triumph over personal differences? Letters in the Rain is my attempt at answering these questions. The main characters in the book – Kiara and Aman are very relatable. They will make you relive your college days. Q6. Please tell us something more about your upcoming book? Can you share a little of your current work with us? My upcoming book is a coming-of-age tale of dreams, ambition, hope, young adult insecurities and unrequited love. It is inspired by an unprecedentedly steep transition into adulthood, characteristic of empty spaces and dusky places where the stars have refused to shine, blinding in their everglow. Aman, who has been labeled a weirdo, is fed up with his life. 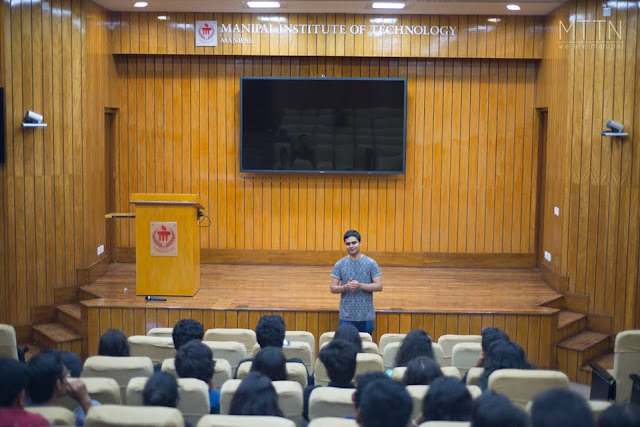 Although he is a quintessential topper, he leads a very ordinary life. When he is forced out of his solitary shell into an action-infused warehouse that is ‘college’, his life takes a drastic U-Turn. Since he is made to partner up with Kiara owing to a chemistry project, he has to step outside his comfort zone. Kiara is quite an interesting character in her own right. She curses herself as her sole interest in life that is music, has no monetary benefits according to her. When both these characters interact, they are made to face their worst fears. A roller coaster ride ensues, filled with humor, adventures, and heartbreaks. 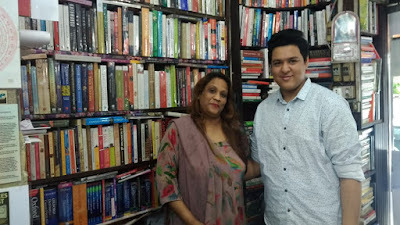 Will Aman be able to prove to the world that he is far more than someone who only excels in academics? Will Kiara be able to live her passion? 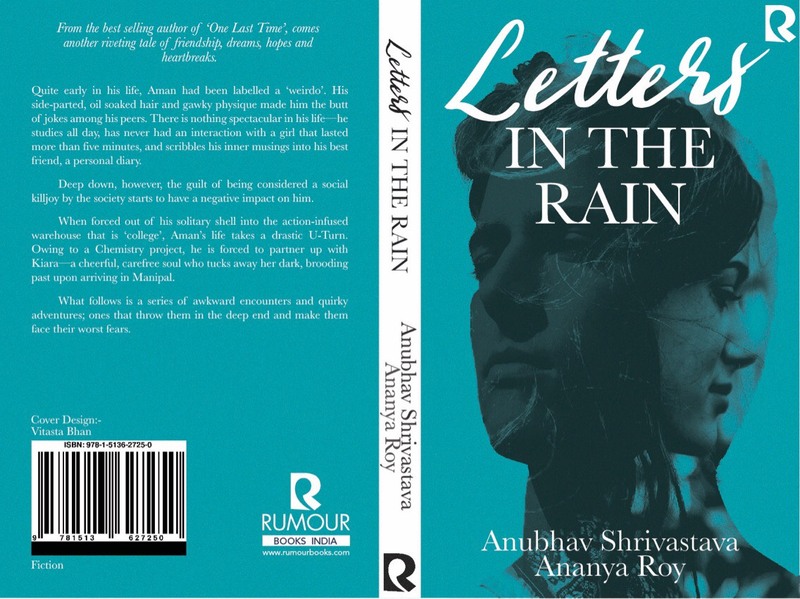 Letters in the Rain is all about that and much more. Q7. What do you consider to be your best accomplishment? Only time will tell. Hopefully the sales figures of Letters in the Rain. Fingers crossed. Q8. What’s something you are really good at that few people know about? I am a great cook! I can cook Chinese, Italian and of course Indian. Q9. Can you share with us the best way to reach you and where to learn more about your books? Q10. What do you think is the future of reading/writing? With the advent of social media, the attention span of people has reduced. Nowadays, there are many more sources of leisure. Hence the competition for writing is only going to get brutal and fiercer from hereon. Naturally, to make your work stand out, you ought to defy the status quo. Q11. If you had to do something differently as a child or teenager to become a better writer as an adult, what would you do? I would read more and have more intellectual conversations and develop a habit of listening and observing. I would mug up tons of vocabulary books and learn all kinds of phrases, idioms, and metaphors! Q12. Let me now ask something about myself, how was the interview?? Something you want to say about me? I have given quite a few interviews previously. I guess this one was more ingenious. Q13. What do you like to do when you're not writing? I am an avid movie buff and of late have taken quite a liking for spiritual books. Q14. What is the biggest surprise that you experienced after becoming a writer? The biggest surprise is that everyone around me asks for a free copy as if it’s their birthright! Q15. Do you have any advice for other aspiring writers? Persistence, perseverance, self-discipline and structured framework is the key to writing a book! Q16. Do you have anything specific that you want to say to your readers? It was really a privilege interviewing you. Hope you enjoyed the interview. I hope I will get another chance of interviewing you in future.